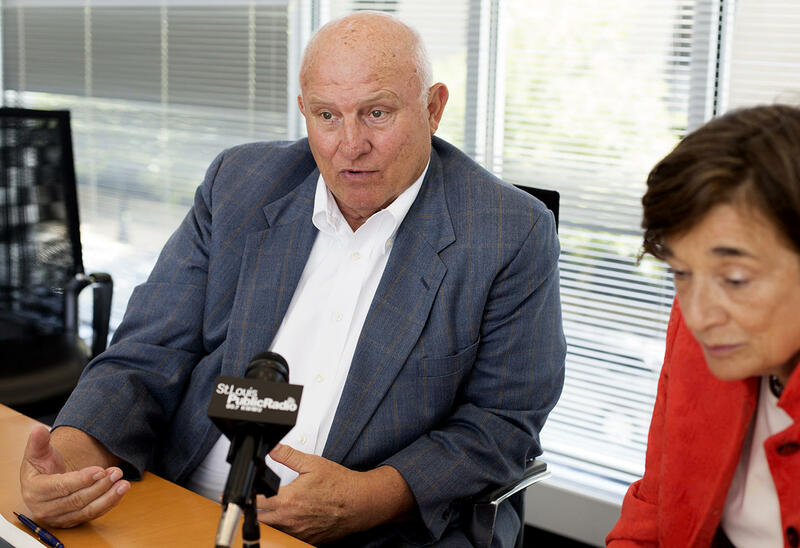 Paul McKee and Marilyn Melkonian, president of Telesis Corporation, discuss their partnership, along with CRG Real Estate Solutions, to build 500 housing units in north St. Louis in the next five years. Paul McKee’s Northside Regeneration is wasting little time now that the National Geospatial-Intelligence Agency has officially chosen to build in St. Louis. The developer announced on Tuesday he’s partnering with CRG Real Estate Solutions and Washington D.C.-based Telesis Corporation to build 500 residential units over the next five years. McKee said CRG partnered with Northside Redevelopment in the bid for NGA and has agreed to continue working together. He said Telesis has 30 years’ experience and a national reputation for urban residential projects. "We have the development rights for 3,000 housing units over the life of Northside Redevelopment project," McKee said. "We would very much like Telesis and Clayco Realty Group to stay involved with us for all 3,000, but the partnership is for Phase I." Northside Regeneration map, including Phase 1 of the housing development. The first phase will include 300 rental units and 200 single family homes in a 50-block area just to the east and to the north of the NGA footprint. The initial construction is expected to begin next year with completion in 2018. Telesis president Marilyn Melkonian said they’ve been involved in more than 25 neighborhood redevelopments that engaged existing residents. She said the Northside Redevelopment project would not mean displacement for those already living in the area. "The interesting thing is people from all over the income spectrum will be attracted to live here and stay here and that includes the people who are living here," Melkonian said. 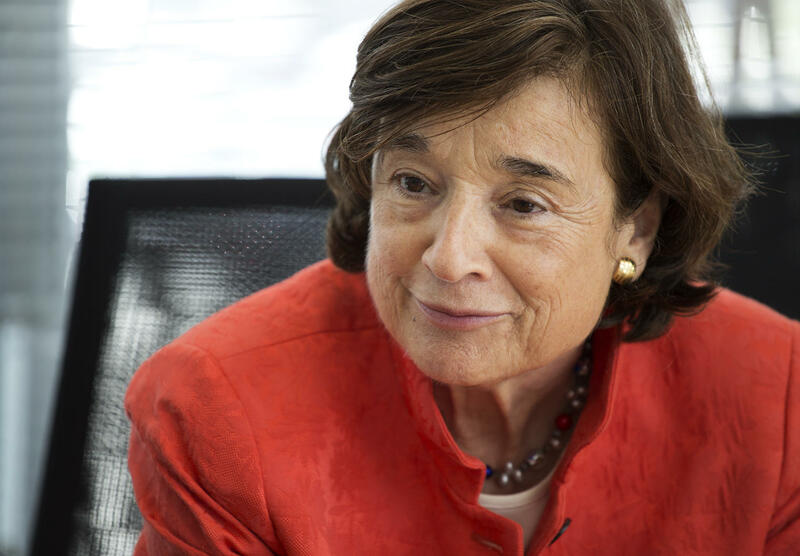 Marilyn Melkonian, president of Telesis Corporation, speaks with a reporter at St. Louis Public Radio on Tuesday. That's an important point since about 200 residents already are being moved to make way for the NGA facility. Some expressed concern at a city-hosted forum on Monday that the federal agency's arrival will push more people out of the neighborhood. The development team has been working with the AFL-CIO Housing Investment Trust and is expecting further public private partnerships with St. Louis and the state of Missouri. McKee says to bring housing to the area, they’ll need help to fill the gap between the cost and what people can afford. 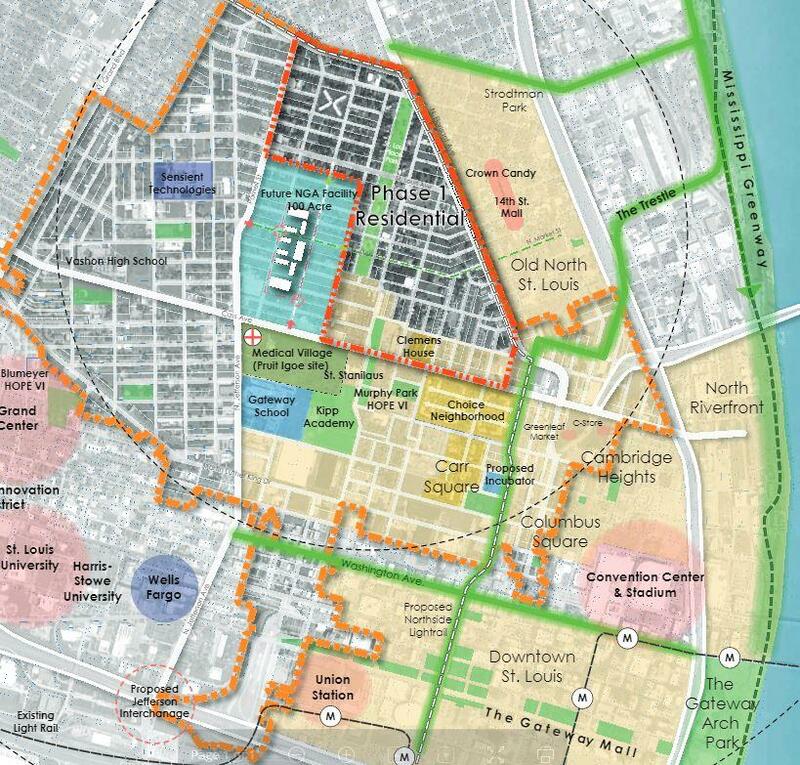 In recent months, Northside Regeneration has also announced other developments, including a grocery store and gas station, as well as an urgent care facility that will be located in the Pruitt-Igoe site. Northside Regeneration developer Paul McKee’s plan for a nearly two-square mile area of north St. Louis, has had many false starts. "This is the most difficult urban project in the country, and it’s taken me years to assemble the land," McKee said Wednesday. 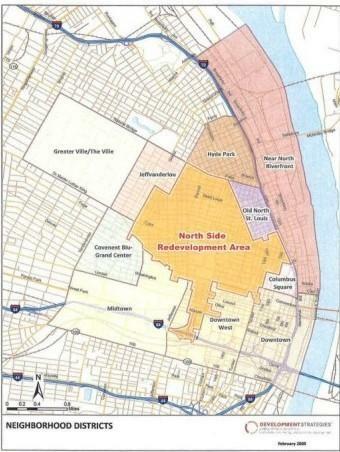 This article first appeared in the St. Louis Beacon: St. Louis' Tax Increment Financing Commission approved a public hearing for the controversial Northside Regeneration plan, a move that could kick the stalled project back into high gear in the coming months.